The National Inventors Hall of Fame Induction Ceremony will take place at the Smithsonian American Art Museum and the National Portrait Gallery, 5.5. Maria del Carmen Cossu, Smithsonian Institution Traveling Exhibition Service project manager, will serve as a juror at the Mayfaire Arts Festival at the Polk Museum of Art, 5.7. The Mennello Museum of American ArtÂ opens Pop Art Prints, an exhibition of 37 items from the Smithsonian American Art Museum. The installation includes works from the 1960s by Robert Indiana, Jasper Johns, Roy Lichtenstein, Claes Oldenburg, Robert Rauschenberg, and others. The installation is part of a series that highlights objects from the collection that are rarely on public view, opening 5.6. Last chance to see Above and Beyond at the Saint Louis Science Center. The exhibition celebrates the power of innovation to make dreams take flight and features two artifacts from the National Air and Space Museum. The exhibition closes 5.8. 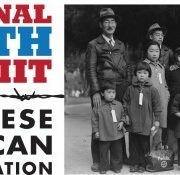 Four Affiliatesâ€“ Arab American National Museum, Wing Luke Museum of the Asian Pacific American Experience, Pacific Aviation Museum Pearl Harbor, and History Colorado â€“ and the National Museum of American History will connect via webcast to a live Youth Town Hall at the Japanese American National Museum for National Youth Summit: Japanese Incarceration in World War II, 5.17. The Ohio History Connection will host a videoconference featuring Dr. Jeremy Kinney, curator at the National Air and Space Museum. Â The videoconference will connect NASM with the Ohio History Connection and Stone Gardens Assisted Living Complex near Cleveland. Kinney will discuss the Enola Gay and its restoration while a curator from OHC will address the Ohio connections to the plane, 5.19. Last chance to see two of George Washingtonâ€™s battle swords together for the first time in over 200 years. One sword is on loan to George Washington’s Mount Vernon Estate and GardensÂ from the National Museum of American History. Exhibit closes 5.30. 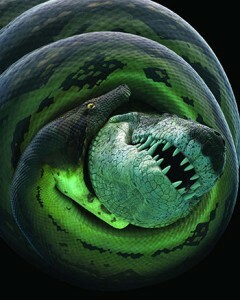 Thereâ€™s still time to see Titanoboa: Monster Snake at the Idaho Museum of Natural History, an exhibition organized by the Smithsonian Institution Traveling Exhibition Service. On view through 6.12. Special thanks to our colleagues at the Smithsonian Institution Traveling Exhibition Service (SITES) for this guest post. Since our founding in 1951, we have traveled over 1,500 exhibitions to more than 13,300 host venues, and weâ€™re still counting. When was the last time you hosted a SITES exhibition? Let us know of your interest in our latest offerings listed below and youâ€™ll be among the first to receive more information as it becomes available. 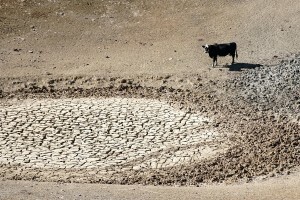 Drought damage on Walnut Creek Ranch in CA in 2014. USDA photo by Cynthia Mendoza. Water is the most vital resource for life. Through immersive content, interactives and digital media, H20 Today explores the diversity and challenges of our global water sources. 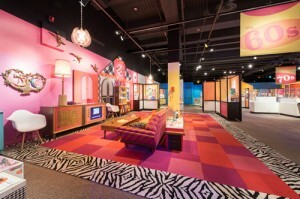 This fully designed, build-it-yourself exhibition is licensed and provided to host venues as print-ready graphic files, detailed design drawings, videos and computer interactives. 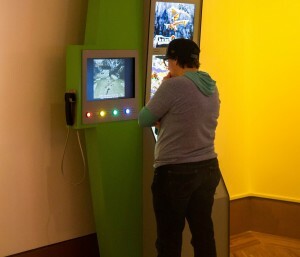 Host venues can choose from a suite of engaging interactives and build what works best for your museum. 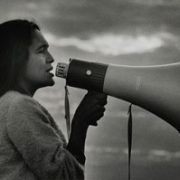 Presidential Medal of Freedom-winner Dolores Huerta has shined in many roles over her celebrated life: teacher, human rights activist, civil rights pioneer, and National Farm Workers Association (later the United Farm Workers) co-founder. 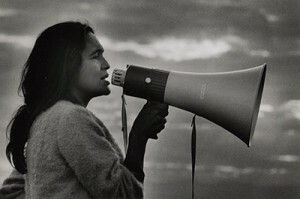 Huerta is an integral figure in womenâ€™s history, Latino history and American history, and SITES is proud to announce plans for a new exhibition that will explore her life, inspirations, and her social activism with CÃ©sar Chavez in the 1960s and 70s. Featuring bilingual text (Spanish and English), reproductions of historic and personal photographs and documents, stunning graphics, select videos, and supplemental educational resources, the exhibition is a collaboration with the Smithsonianâ€™s National Portrait Gallery. SITES is proud to work with the National Museum of African American History and Culture to create an historic, limited-edition poster exhibition to celebrate the opening of the newest Smithsonian museum on September 24, 2016.Â Based on the Museumâ€™s inaugural exhibitions exploring African American history, culture and community, the poster exhibition will be accompanied by a broad range of programming ideas and educational resources to help venues connect to the Museumâ€™s opening events.Â A limited number of poster exhibition sets will be available by request beginning early this summer. Check sites.si.edu to learn more. Courtesy Estate of Robert De Niro, Sr. The Art of Robert De Niro, Sr.
As New York City emerged as the center of the contemporary art world in the 1940s and 50s, a small group of artists achieved fame and became known as the New York School. SITES reintroduces the work of one of its members, Robert De Niro, Sr. (1922-1993). This retrospective, comprised of the artistâ€™s most important works spanning several decades, will explore De Niroâ€™s importance as an American artist, illuminate his personal artistic journey and critique the schools of art represented in his works. 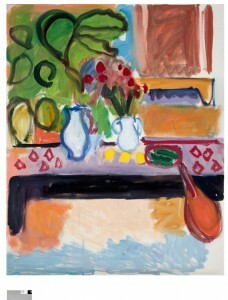 The Art of Robert De Niro, Sr. is organized in cooperation with the Estate of Robert De Niro, Sr. and DC Moore Gallery. For additional information on any of these exhibitions, please contact us at sites_schedule@si.edu or 202.633.3140.Â Highlight your special connection to the Smithsonian by hosting a SITES exhibition! Traveling to the AAM Annual Meeting in Washington, D.C. later this month? Donâ€™t forget to stop by SITESâ€™ Booth #7045 for more information about our offerings, plus fun giveaways and raffle prizes. Youâ€™ll also have the chance to connect with SITES and Affiliations staff. Congratulations to these Affiliates on Â their accomplishments! Have an award, a funding announcement, or significant staff change you’d like to see here? Email us! Three charitable foundations gifts totaling $650,000 were awarded to Union Station, Kansas City, Inc.â€™s expansion and bridge project. The Gary Dickinson Family Charitable Foundation donated $250,000. The Sunderland Foundation donated $250,000. The Victor E. and Caroline E. Schutte Foundation donated $150,000. The expansion will include an interactive outdoor exhibit at Science City based on a winning entry in the last Battle of the Brains competition. 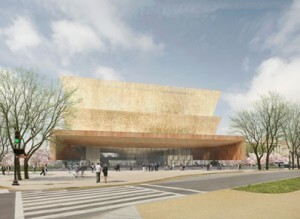 The project also will include a new entrance to the theater area and planetarium. The Wisconsin Maritime Museum announced the upcoming expansion of the exhibit “Wisconsinâ€™s Underwater Treasures,” thanks to an $85,000 donation from the Ruth St. John and John Dunham West Foundation. The exhibit is focusing on the historic and cultural significance of many notable shipwrecks and unique personal stories from communities along Wisconsinâ€™s Lake Michigan shoreline and will include new technology-based experiences along with a variety of interactives for visitors. The South Dakota Historical Society Foundation has received a $5,000 grant from the BNSF Railway Foundation and a $1,000 grant from the Midco Foundation to digitize historic photographs and make the images available online. Project Description: The development of a platform that supports the sharing of humanities content through mobile tours in both exterior and interior spaces, building on Curatescape and WordPress platforms. Project Description: Planning for a traveling exhibition, a scholarly catalog, and curriculum materials exploring the life, music, and influence of composer Leonard Bernstein. Project Description: The arrangement and description of 301 linear feet of manuscripts and archives and the creation of over 458,000 digital images from these sources, which form part of the “Vilna Collections” held by the YIVO Institute, a repository housed in the Center for Jewish History. Images created by YIVO will be merged with extant holdings of the Lithuanian Central State Archive and National Library of Lithuania as part of a larger seven-year initiative. Dane County approved $17,087 in grant awards through the Dane County Environmental Councilâ€™s Community Partners and Capital Equipment programs including $1,000 to the Madison Childrenâ€™s Museum (Madison, Wisconsin). The funds will be used for purchasing supplies and equipment needed to develop a traveling homing pigeon program for local events, camps, and summer school programs that serve low-income areas in Dane County. Connecticut Humanities granted Mystic Seaport $10,415 for the development of an exhibition centered on the newly re-installed captainâ€™s cabin of the Down East merchant ship, The Benjamin F. Packard. The planning phase of this project requires extensive research in the museumâ€™s collections and an audience study on engagement. This exhibit will teach about the maritime cargo trade that shaped Connecticut throughout history. PPG Foundation Donates $10,000 to Frontiers of Flight Museum for Tech-Focused Program Grant supports expansion of Young Womenâ€™s STEM Leadership Initiative. The program serves 6th through 12th grade students from three public all-girls schools in the Dallas/Ft. Worth area. The Institute of Museum and Library Services announced the 10 recipients of the 2016 National Medal for Museum and Library Service, the nationâ€™s highest honor given to museums and libraries for service to the community including Mid-America Science Museum (Hot Springs, Arkansas). Kristin A. Swain, executive director of TheÂ Rockwell Museum, was honored during the Museum Association of New Yorkâ€™s annual conference. Swain received the Anne Ackerson Innovation in Leadership Award for guiding “staff and the museum board of trustees through the broadening of the Rockwellâ€™s mission, transitioning focus from the American West to â€˜art about the American experience. The U.S. Army Heritage and Education Center was recognized with the Keepinâ€™ it Fresh and New Award for its Vietnam Exhibit â€“ Courage, Commitment, and Fear. The center was recognized by the Hershey Harrisburg Visitors Bureau Partner in Tourism Platinum Award Ceremony. Michael Hammond, Ph.D., Executive Director of Agua Caliente Cultural Museum for the past 17 years, has announced his retirement effective July 31, 2016. The San Diego History Center has a new director.Â Bill Lawrence previously served as operations manager and trustee and comes from a background in broadcasting. The San Diego Natural History Museum has announced that Judy Gradwohl, who has held numerous positions at the Smithsonian Institution, will be its new president and CEO, replacing Michael â€œMickâ€ Hager, whoâ€™s retiring June 30 after 25 years at the Balboa Park institution. Mystic Seaport announced that Nicholas R. Bell has been named Senior Vice President for Curatorial Affairs, a new position at the Museum that will be responsible for the care, management, strategic development, and exhibition of the Museumâ€™s collections. Bell will assume the position June 1, 2016. Bell is presently The Fleur and Charles Bresler Curator-in-Charge at the Smithsonian American Art Museumâ€™s Renwick Gallery in Washington, DC. David Wood has been promoted from director of exhibits and operations to chief operating officer at The Childrenâ€™s Museum of the Upstate. In his new role, Wood will direct and oversee the daily operations and logistics of the museum, including exhibit development and management. Bethlehem’s National Museum of Industrial History has hired Andria Zaia as curator of collections. Zaia will be responsible for overseeing the museum’s collection of iron, steel, textile, and industrial artifacts and archival materials. 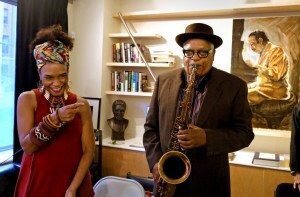 On the very same day that the United States Postal Service held a ceremony in Newark, New Jersey, to celebrate the new Sarah Vaughn postage stamp, Harold Closter, Director of Smithsonian Affiliations, told a funny anecdote about his contribution to the history of jazz. Addressing the audience at the opening night of The National Jazz Museum in Harlem’s new location, Closter joked that his contribution to jazz history was the time he was tasked with carrying the train of “the Divine One’s” (as Vaughn was known) dress onstage once. The museum found its footing, in incremental steps, under the executive leadership of Loren Schoenberg. A veteran saxophonist, pianist, educator and historian, Mr. Schoenberg brought an air of authority to the museum, while strengthening its bonds with the jazz public and institutions like the Smithsonian. Mid-America Science Museum in Hot Springs has landed the Institute for Museum and Library Services National Medal for Community Service. The award stands out as only 10 museums and libraries around the country are awarded it each year. Visitors at “The Art of Video Games” exhibition. Photo courtesy Frost Art Museum. From “Pitfall!” and “Space Invaders” to “Super Mario Brothers,” the collection celebrates the artistic and creative factors involved in creating the games’ virtual landscapes and moving images. There were many other surprises in this exhibit of nearly 500 favorites developed in partnership with the Minnesota Historical Society. 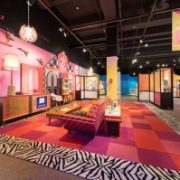 For those of you who destroyed or failed to hold on to your childhood treasures, the 8,000 square-foot exhibit may well be worth the trip to Pittsburgh. Your head will be swiveling as Mr. Potato Head, Gumby, Barbie, and action figures from three decades vie for your attention. The National Inventors Hall of Fame and the United States Patent and Trademark Office (USPTO) will host the Greatest Celebration of American Innovation May 4-5. The two-day event will include the Induction of 16 innovation trailblazers into the Hall of Fame [at the Smithsonian American Art Museum and the National Portrait Gallery] and the unveiling of the expanded National Inventors Hall of Fame Museum. Chicago’s DuSable Museum of African American History has been granted affiliation status by the Smithsonian Institution. The distinction, announced Thursday, gives the museum access to Smithsonian artifacts and traveling exhibits. The DuSable is the second Chicago facility to receive Smithsonian Affiliate status, joining the Adler Planetarium. Special thanks to Rene Rodgers, curator of exhibits and publications at the Birthplace of Country Music Museum in Bristol, Virginia, for this guest post. As a new museum, this past September was the Birthplace of Country Music Museum‘s first time participating in Smithsonian magazine’s Museum Day Live! So we were excited when a special Museum Day Live! event was planned for March 12, 2016. Having been open for a year and a half, we were ready to make something special of this special day. Being held during Women’s History Month, this year’s Museum Day Live! was focused on encouraging all people â€“ and particularly women and girls of color â€“ to explore our nation’s museums and cultural institutions. We wanted to see new visitors come through our doors for this March event â€“ and we did! We saw around 340 visitors bearing their free admission ticket, many of whom had never been to the museum before, along with several dedicated volunteers and members. More importantly, we wanted to create a learning opportunity at the museum for underserved girls within our community. Therefore, in keeping with this year’s theme, we partnered with the YWCA Bristol TechGYRLS, a local afterschool program based on a STEM-focused curriculum and geared towards supporting girls aged 9â€”15 who would otherwise have limited access to and experience with technology. 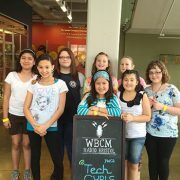 We decided that a fun focus for this partnership would be helping the TechGYRLS to create a special radio program for WBCM, our in-museum working radio station. 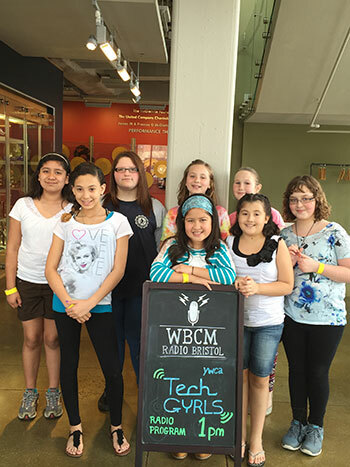 To prepare for their radio debut, the girls toured the museum in early February, exploring the exhibits to find topics to cover in their radio program. They also got the chance to record a “radio drop,” or teaser, to promote the show. 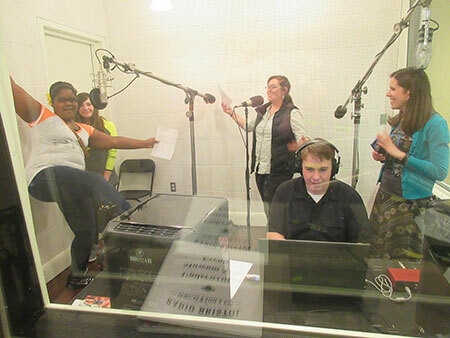 With very little rehearsal, the girls nailed their radio drop â€“ they were complete naturals! Using the ideas they had gathered from their tour, the TechGYRLS then worked directly with museum and radio staff to develop their script and create a lively complementary playlist of songs fromÂ Orthophonic Joy: The 1927 Bristol Sessions Revisited. They also got the chance to learn more about how a radio station works and how to put together a radio program from our radio staff. After a bit of tweaking and some rehearsal time, the TechGYRLS came back to the museum a few days before Museum Day Live! to pre-record their show. Their interviews were filled with energy and enthusiasm. 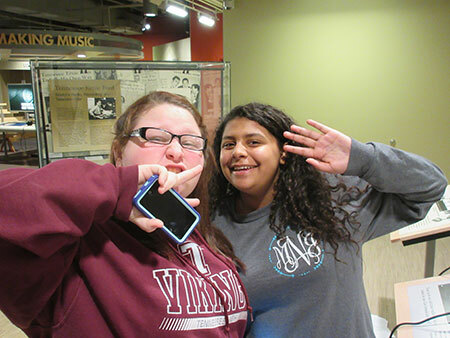 They described how their visit to the museum showed them how important the Bristol Sessions were in American music history and that the old-time music playing in our exhibits made them want to dance! And they shared the many ways the YWCA Bristol TechGYRLS program impacts their lives, with one studentÂ saying that it “teaches you to include everyone no matter how different…and that just because you aren’t a man, doesn’t mean you can’t grow up and be what you want to be.” Wisdom out of the mouths of babes! When March 12 finally arrived, we were excited â€“ and so were the girls. YWCA Bristol brought several of them to the museum an hour or so before their radio broadcast, giving them plenty of time to explore the museum further and take a peek at our new special exhibit “Made in Tennessee: Manufacturing Milestones.” A few parents came along too, and we heard that a couple of families were ready to listen together at home to the show on WBCM. While the show was broadcasting on the radio, we streamed it into the museum’s performance theater, inviting our museum visitors to come in and listen as part of their Museum Day Live! experience. Seeing the girls faces as they listened to themselves on the radio, seeing them really realize that listeners throughout Bristol (and possibly across the world!) were hearing their ideas and thoughts, was amazing. The TechGYRLS shared their time and energy with us, they gave voice to their lives and experiences, and the result was one of the most fulfilling and proudest moments we’ve had at the museum so far. Hearing the impact this partnership â€“ inspired by Museum Day Live! â€“ had on the TechGYRLS has been incredibly moving. 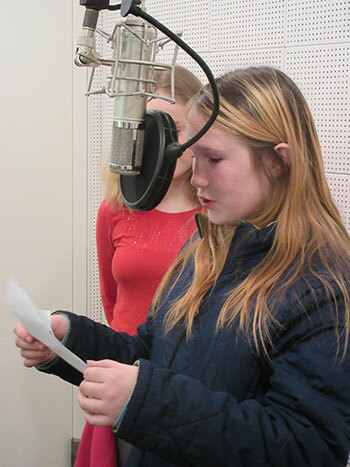 But the things we gained from this experience were just as positive: the use of our radio station as a wonderful community learning tool; the ability to share our museum with young girls and get their feedback in a direct and meaningful manner; the possibilities for further partnerships and outreach programs in the future; and the way a program like this, written and produced by local youth, took our museum and its mission further into our community â€“ to name just a few. March’s Museum Day Live! was a huge success for us â€“ and an amazing experience. Most importantly, it had as significant an impact on us as it did on the TechGYRLS, and for that we couldn’t be more grateful. All photographs courtesy Birthplace of Country Music Museum.